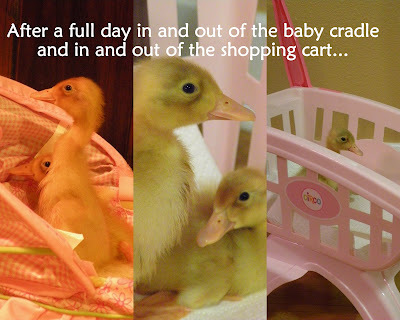 A Fuller Day: Make way for...DUCKLINGS! Wow - you have made having ducklings so appealing! I mentioned it to Nick last night and he did not have the same response as Andy. He looked at me like I asked him for a giraffe! We will try and see them today! this makes me smile. your little sweeties are probably going to talk forever about the time they had ducks. if grant wasn't so young i would go buy some right now, cora would flip out! i love the idea of temporary pets, too. 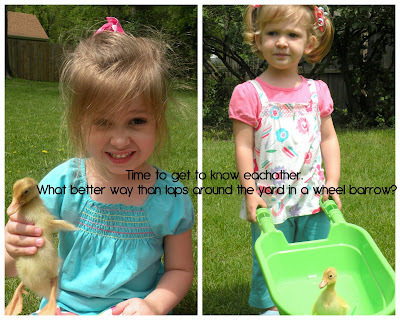 Those ducks have pretty fragile wings; if you want them to swim away and fly south, make sure the girls are careful! What a great idea. 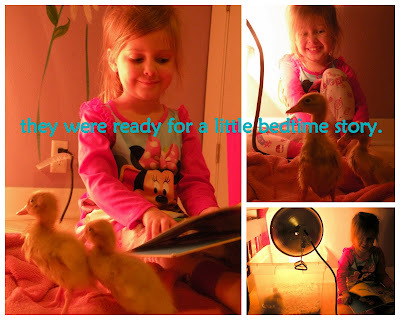 We had temporary duck pets once too. And yes, I still talk about it, 30 yrs later. Thanks for sharing and bringing back great memories! Make sure you will the bath tub at least once for them. Well worth the splashing mess it makes.